We offer several ways to order Kelly Bear resources through Childswork/Childsplay. To order online, go to our Resources or CARES pages where you will find descriptions of the Kelly Bear products along with links to order online. To order by phone, call Childswork/Childsplay at 1-800-962-1141. 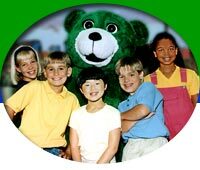 Thank you for your interest in the Kelly Bear resources!